Bill Gates is no longer the richest man in the world. That title now goes to Amazon’s Jeff Bezos. 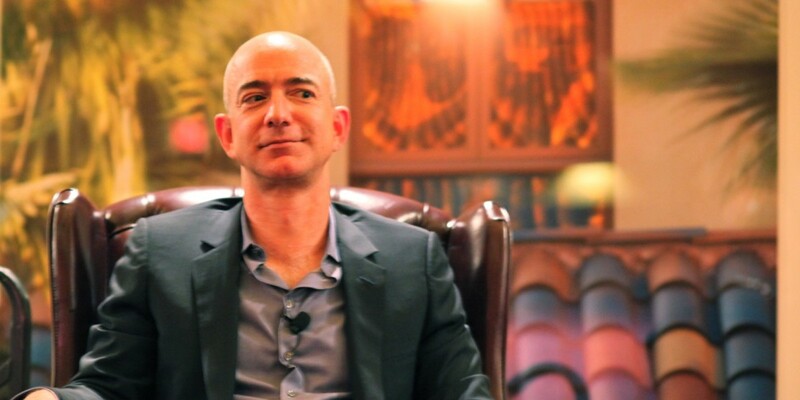 Bezos has long been a billionaire, but recent surges in Amazon stock have pushed him to a net worth of over $90 billion. Bill Gates’ is also pegged at $90 billion, but Bezos seems to have just leapfrogged him overnight. If the stocks hold up today, Bezos — who [owns] around 80 million shares of Amazon — will add more than $800 million to his fortune. That would put him past Gates, assuming the valuations of their non-stock holdings haven’t changed. That said, even if the title doesn’t hold for the day, it seems Bezos is poised to surpass Gates permanently in the coming weeks. Of course, Bezos is still working at Amazon while Bill gates spends most of his time with his philanthropy work, but it’s notable nonetheless. To give you an idea of how quickly his wealth has grown, Bezos had net worth of $1.6 billion after Amazon IPO’d in 1998, and was at $18.4 billion in 2012. He’s added those extra $70+ billion in the last five years. To think it all started by setting up a humble online book shop. Excuse me while I go and reflect on some of my life choices.